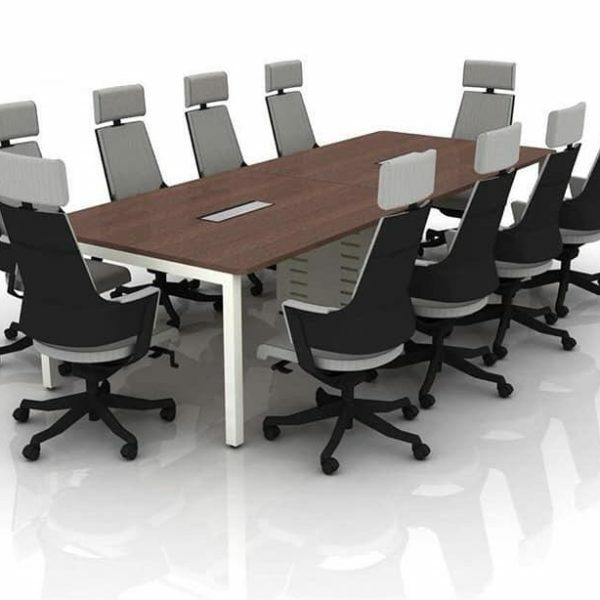 Eleganc Conference room table are typically the largest piece of furniture and biggest expense of conference rooms. this is smaller but more intimate round tables with metal bases for improve meetings or brainstorming sessionsat meeting time. Select larger sized boat or rectangular shaped office conference tables available in sectioned tops that, can be split up to create different arrangements, or solid pieced laminate finished surfaces that resist scratches and scuffs. In a workplace of diminishing space, meeting tables respond to the need for collaborative spaces, creating well-equipped, comfortable spaces outside of the primary workstation.